Welcome to The Cover Contessa's stop on the Ignite blog tour! Today, author Erica Crouch has stopped by to share with us her playlist for this most awesome book! So let's see what kinds of songs she picked! But in this twilight, our choices seal our fate. But I’d be yours if you’d be mine. Sail with me into the dark. You can’t choose what stays and what fades away. Oh, good morning. Will you just wait until I die? Now we’re just gonna ride it out. I’ll know my name as it’s called again. Some most awesome choices on this list! I especially like the choice of Muse, they are one of my favorite bands! Thanks so much for stopping by today, Erica! It's been great to see your song choices! Erica Crouch is a twenty-year-old living on the outskirts of Baltimore, Maryland. She is currently working towards a degree in English and Creative Writing with a specialization in Fiction at Southern New Hampshire University. She spends all of her time writing and reading an overwhelming stack of books. 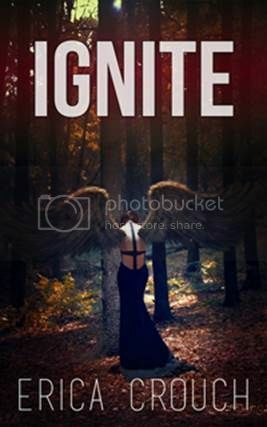 Ignite is her debut novel and she is currently writing its sequel - in addition to two other series!